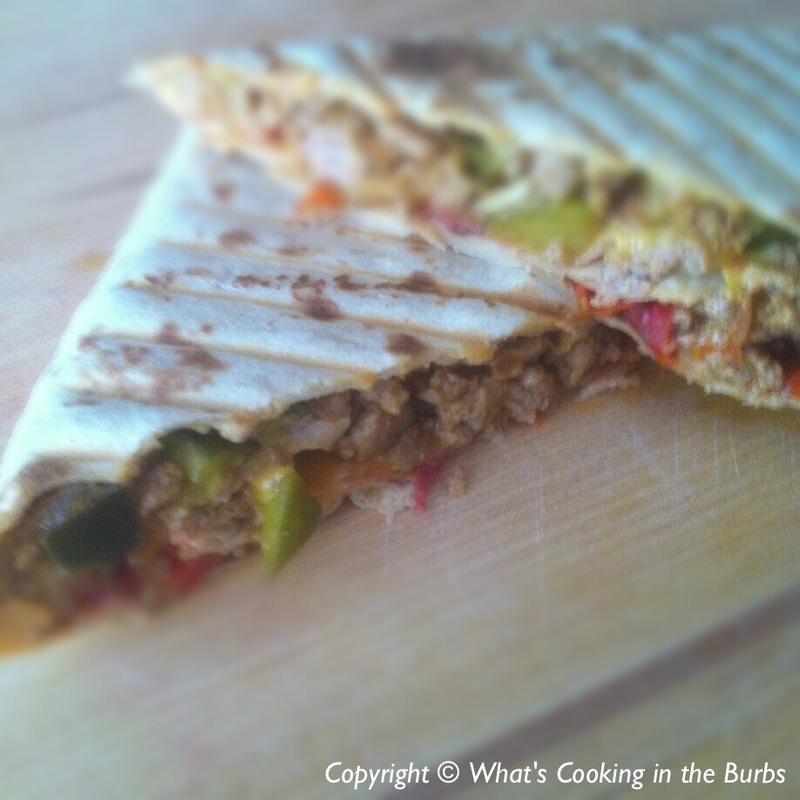 I really love wraps and how you can create so many different fillings. The possibilities are endless. I came across a recipe on All Recipes.com for a Grilled Bacon Cheeseburger Wrap. It sounded so yummy but not at all diet friendly. I decided tweak a few things and came up with a healthier version. 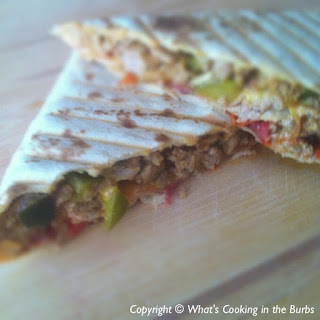 I used my Panini press to grill the wrap instead of a pan and it turned out great! Bring a large skillet to medium heat. Add the ground sirloin and brown. Add the onion soup mix, ketchup, mustard, dill pickles, and water. Stir well and turn heat to low. Simmer for about 10 minutes. Evenly divide meat mixture between the four tortillas leaving about an inch at each end. Add one slice of cheese and one slice of bacon to each tortilla. Top with some lettuce and tomato. Fold in the one inch ends of the tortilla over the filling and then fold in the long ends to cover it. Lightly mist the top of each tortilla with cooking spray and place them fold-side down onto your Panini press or skillet and let them cook for 3-4 minutes or until golden. Cut in half and enjoy! What a fun way to prepare cheeseburgers. My Family will love this. Wow! That is pretty good diet wise for a burger. Worth saving a few points for. Pinning this one too. Thanks for sharing.